Enjoy a Taste of New Orleans in Boston, Burlington, Hartford, More! What do New Orleans and New England have in common? Well... they both start with "New" and have the same number of letters. Oh, and they both have fabulous Mardi Gras celebrations! Granted, New England can't truly hold a candle to New Orleans when it comes to Mardi Gras revelry and debauchery. (This may have something to do with the fact that it's still incredibly cold in New England in February and early March.) 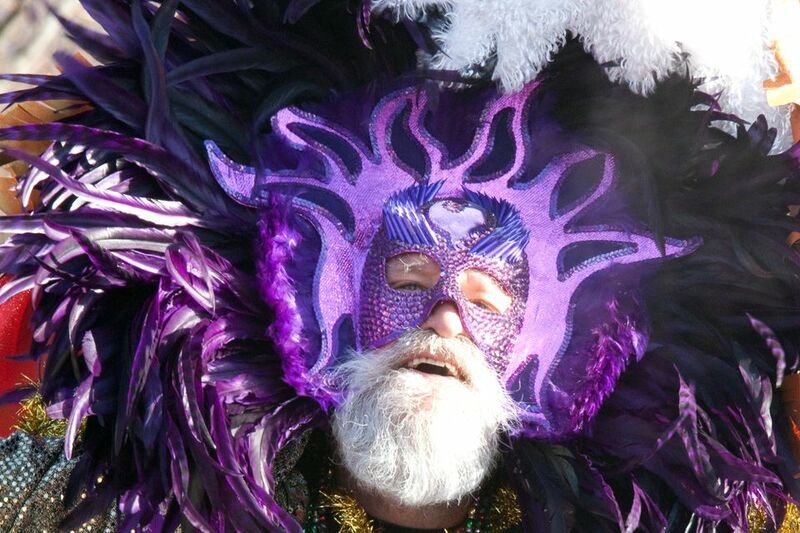 That said, if you find yourself up north as Fat Tuesday approaches (March 5 in 2019), there are plenty of places where you can feast on Cajun delights, snag some beads, sip intoxicating beverages, hear N'awlins jazz and celebrate a memorable Mardi Gras. And New England's largest Mardi Gras event—Magic Hat Mardi Gras—akes place almost a month later, so you can keep the good times rolling. March 29-31, 2019, Burlington, Vermont. Magic Hat Mardi Gras rolls into Burlington, Vermont, for the 24th year, promising to transform the city's chilly streets into a lively scene. Make plans to spend the weekend, and kick off the fun on Friday night at Higher Ground. On Saturday, music, costumes, beads and beer are all integral to this New England-style Mardi Gras celebration, which is geared for all ages. Don't miss the Grand Parade down Main Street on Saturday. Proceeds from the event benefit the Vermont Food Bank. Buttermilk and Bourbon, 160 Commonwealth Avenue, Boston, Massachusetts. Immerse yourself in the allure of New Orleans... even on a cold day in Boston. Chef Jason Santos’ New Orleans-inspired Buttermilk and Bourbon is your place for Creole cuisine and Hurricanes on tap as Mardi Gras approaches. Each Buttermilk and Bourbon dining space is inspired by a New Orleans neighborhood, such as the Garden District, the French Quarter and Bourbon Street. Head there later in March, and you can be one of the first to take home a copy of Santos' new book: Buttermilk & Bourbon: New Orleans Recipes with a Modern Flair. It's being released March 26, 2019. February 23, 2019, St. Ann Arts and Cultural Center, 84 Cumberland Street, Woonsocket, Rhode Island. Get a jump on the Mardi Gras season at the Northern Rhode Island Council of the Arts' 25th annual Mardi Gras: an evening of live country and Cajun music, dancing and dining. Tickets are $30 in advance, $35 at the door, and there will be a cash bar. March 2, 2019, New England Carousel Museum, 95 Riverside Avenue, Bristol, Connecticut. It's a merry-go-round of Mardi Gras fun, as the New England Carousel Museum hosts its 29th annual New Orleans-themed celebration. Tickets are $50 per person and include a night of music and dancing, bourbon and wine tastings in the Speakeasy, a catered dinner, dessert, face painting, beads and doubloons. Masks and costumes are encouraged, and you can BYOB. March 2, 2019, Hartford, Connecticut. Dress your Mardi Gras best for this tour of five of Hartford's top bars and clubs. Buy your ticket online to join in the fun from 3 p.m. until 2 a.m. You'll enjoy express entry and food and drink specials at participating venues, plus fun games and a costume contest. March 2, 2019, Mount Snow, 39 Mount Snow Road, West Dover, Vermont. The Bud Light Mardi Gras transforms Mount Snow in southern Vermont into the Big Easy for one raucous Saturday. The event features music, beads galore and an après-ski party at Cuzzins. 802-464-4191. March 5, 2019, Regattabar at the Charles Hotel, One Bennett Street, Cambridge, Massachusetts. Join Revolutionary Snake Ensemble and special guests trumpeter Alonzo Demetrius and drummer Brian Richburg Jr. for a Mardi Gras Party to remember this Fat Tuesday. Tickets are $22 for the 7:30 p.m. show. and typically sell out in advance. March 5, 2019, Black-eyed Sally's BBQ & Blues, 350 Asylum Street, Hartford, Connecticut. If you're looking for a place to party all day on Fat Tuesday, then head for Hartford. Black-eyed Sally's serves up an all-you-can eat southern lunch buffet for just $13.95 from 11:30 a.m. until 2 p.m., then there'll be happy hour Hurricane and Abita beer specials and free vittles. The evening features N'awlins menu specials and live music by Rivercity Slim & the Zydeco Hogs, plus beads, stilt walkers, face painters and more. 860-278-7427. Where Can You Spend a Night at the Museum in New England?